This spring, Allisonville Nursery, Garden & Home can help to make sure your home garden is not only aesthetically pleasing but also environmentally beneficial at the same time. Throughout the season, you’ll find a special area in the store’s annual and perennial plant section designated for native and pollinator plants, which provide vital food sources for many butterfly, bee and bird species. 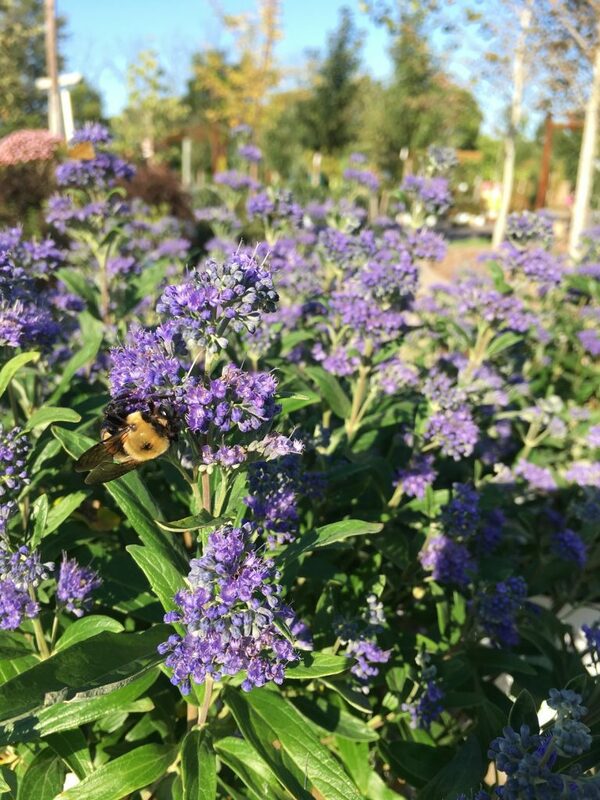 “Pollinators are so important for our flowers and our food, and that cycle works its way up the food chain all the way to humans, so it’s crucial to have those pollinator-friendly species growing whenever we can,” says Beth Billheimer, Allisonville Nursery’s annual and perennial plant buyer. The nursery is offering a range of nativar plant species, which are crossbred to achieve certain colors or sizes, including asclepias, a crucial food source for the distinctive orange and black monarch butterfly, as well as baptisias and monardas, both of which put forth bold colors and are also used as nectar sources for pollinator species. Plants native to the Hoosier state are also typically drought-resistant, which means you won’t have to stand outside with a hose day after day to keep them flourishing if spring showers are in short supply. Billheimer says natives should be left out for the winter and can provide benefits even in the cold months. Browse Allisonville Nursery, Garden & Home’s extensive selection of indoor and outdoor plants, flowers and accessories. Call 317-849-4490 or visit allisonvillegarden.com for more info.